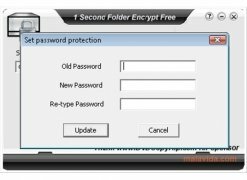 - Encrypt: This option will allow you to make the folders that you choose invisible, with the only possibility to view them straight from this software. 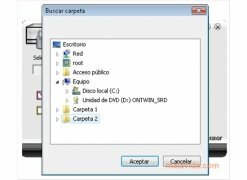 - Decrypt: That allows you to remove the cloaking from any folder, all you'll have to do is choose the appropriate box and tick it, and the application will do the rest of the work. As logical, the access to the application is protected, and it will only be possible to access it if you know the password that was assigned during the installation. That password can be modified whenever you want from the program, nevertheless, you'll first have to input the original password. 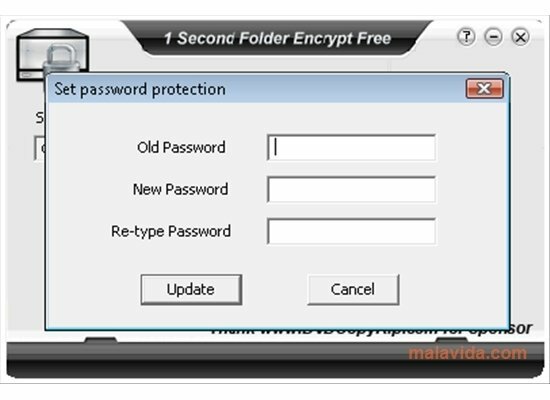 Download 1 Second Folder Encryption and discover the quickest way to protect your data on your PC.